How Does a VPN for Streaming Work? What Streaming Services Can You Access? 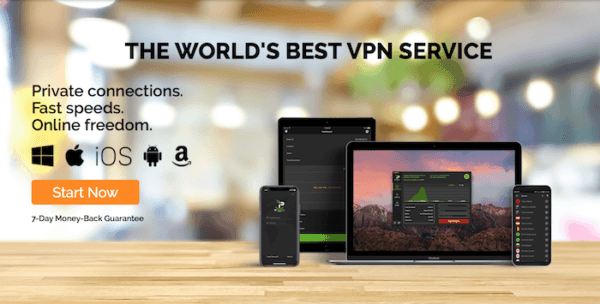 If you’re ready to cozy up and start streaming your favorite show, movie or sports event without being blocked out because of your street address, then you need the best VPN for streaming online content worldwide. Having a VPN that excels in the streaming market gives you the freedom to circumvent geo-restricted streaming content and bypass those annoying pop-ups forbidding access. With a VPN your location is absolutely concealed so not only can you freely binge watch your favorite shows from any country, but you can protect your digital information from hackers and government entities, all without leaving your comfy couch. With that said just having any VPN is not enough. To stream endless content without breaking a sweat, high speeds and privacy are absolutely essential. NordVPN is a tried and tested VPN provider. With 10 years of experience and 58 countries hosting a staggering amount of 744 servers, this privacy driven company is a competitor when choosing a host for your streaming content. Although it’s connecting, uploading and downloading speeds are not as good as with other VPNs on this list, NordVPN is noteworthy for no log keeping and being one of the few VPNs to accept payments in blockchain currency (Bitcoin). Being ahead of the curve in this way, you can’t help but wonder what else they have up their sleeves. More details can be found in our NordVPN analysis. CyberGhost is yet another formidable option for your streaming needs. Since CyberGhost is a Romanian based company they adhere to a state-enforced strict no-logging mandate. So as the name implies, this VPN provider will give you the superpower you always wanted…invisibility. Now that you know you’re safe, let’s talk speed. This VPN provider delivers some amazing results in terms of downloading and uploading speeds. In fact, it performs with the fastest VPN connections on the market, which translates to no buffering or endless loading circles when streaming. You can check CyberGhost privacy and speed test in our review. 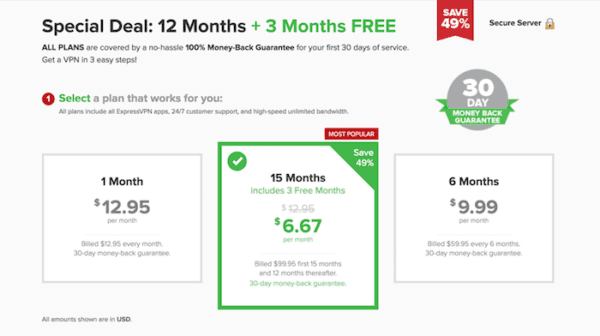 ExpressVPN is one of the top notched services in the industry and our first choice among the VPN for streaming. With a whopping network of 500 servers scattered over 78 lands, you’ll get the speed you need and more for your streaming content. The fact that they offer more servers than channels you can surf doesn’t mean your information is anything less secure. Actually, their bandwidth allows for an infinite amount of server switching in addition to their SSL secured network and claims of 256-bit encryption. Such a strong encryption protocol is guaranteed to keep you under the radar while streaming movies and online content. 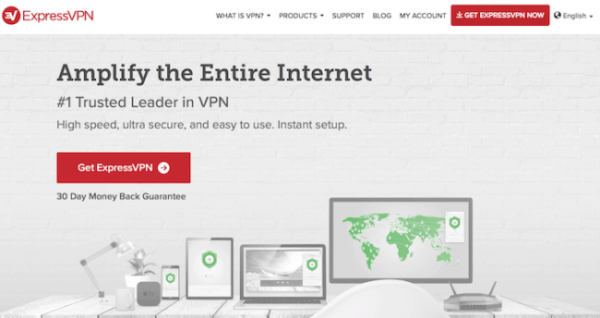 You can read our review that explains in details how to use ExpressVPN. HideMyAss has been around since the inception of VPN service and is still consistently one of the best VPN service providers. Hence another excellent choice for your digital streaming needs. Recently the character and quality service of HideMyAss has been challenged, we decided to challenge it too. Though careful scrutiny and tests we realized that the greatness of this service isn’t just in its colorful logo but, the outstandingly fast network and superb functionality for its users. You can read our updated review of HMA here. 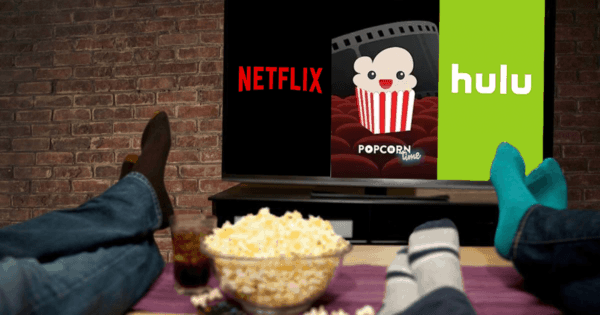 IPVanish is one VPN provider not to be overlooked when preparing to watch that second and third season of your favorite tv series. 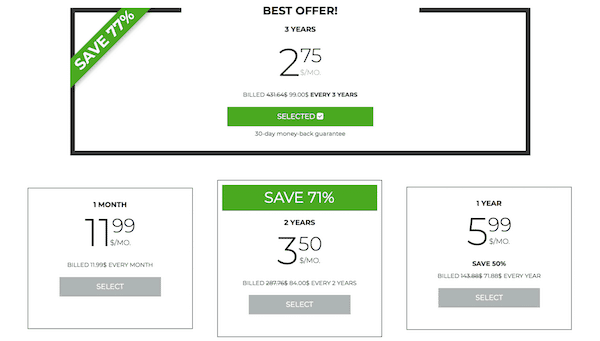 Unlike many other VPN services, IPVanish claims to be a Top Tier Virtual Private Network. That basically means they don’t use hosting services of third-party providers, so your relationship with them would be as exclusive as your privacy is. Since no third-party providers are allowed this also means they have full control over their vast network expanding in some 500 servers in more than 60 countries. Their obsession with control gives them bragging rights for a strong no logs reputation. The control doesn’t stop there. It extends into their network speeds, which are not just exceptionally fast but, sustainably fast and perfect for a wide range of streaming needs. We have recently posted an updated IPVanish review for your reference. With a VPN you have the power to unlock streaming content from anywhere in the world. It’s a fantastic tool. On the other hand, without a VPN, even while you’re casually browsing the Internet your IP address is public domain for all to see. This means all your internet traffic is openly exposed including your streaming history. You may think “who cares about my streaming history?” Well, many government entities do, especially those residing under oppressive regimes where even the most innocent click from an IP address can be damaging. Even if your using the almighty torrent or a P2P protocol to download and stream content, I’m sorry to say that still isn’t safe. Here’s why: since your IP address is pooled along with the torrent swarm, any curious eye with the same file has the ability to see your IP address, report it, and soon after a copyright infringement charge would be heading your way. 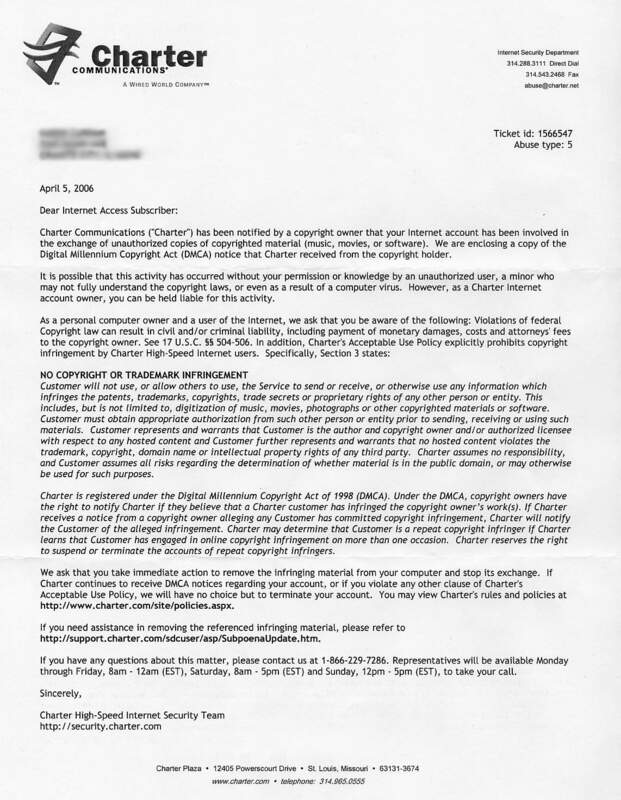 Particularity in the United States, the practice of using torrents are forbidden by law and your Internet Service Provider takes this law very seriously. Tread lightly if you don’t want something like the below in your inbox. However, using a VPN for your streaming needs gives leverage to your content access and digital privacy. Firstly, since the VPN provides encryption you leave no breadcrumbs to your location behind for those curious eyes. Additionally, a VPN masks your actual location by making it seem you are connecting from a different country giving you the keys to the candy store of all streaming content. As noted previously in this article, the best VPNs for streaming are very fast and have the ability to give ultimate privacy through an abundant amount of servers and an infinite amount of server switches. These two are very important elements that a great VPN uses in tandem. For example, if your prospective VPN provider limits the number of users for each server, then your streaming time is going to plummet as you experience more overcrowding in the server than at a Bon Jovi concert. Additionally, since encryptions are also processed through your VPN service, the type of encryption you chose can affect your speed. The more secure the slower the VPN can perform. As an example, L2PT protocol ranks much higher in security than PPTP encryption and it is, therefore, a bit slower. So if you don’t absolutely need a Fort Knox type security, chose to use a lower level when you have the option. Keep however in mind that it is always highly recommended to use OpenVPN protocol since it is the most secure at the moment. You can investigate more reading our article on how VPN protocols work. Another factor to consider when picking a VPN for streaming is simultaneous login ability. If a VPN service allows you use your VPN on multiple devices, streaming content becomes that much easier. 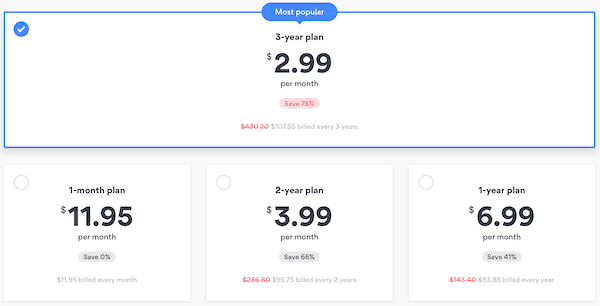 Many VPN providers like ExpressVPN and NordVPN offer this option, NordVPN offers 6 concurrent connections. It’s certainly a handy tool especially if you like streaming different sports games at the same time or have your kids watch cartoons while you catch up on your shows. With a VPN you will have the power to access any streaming service. If you live outside of the United States and you just can’t enough of US Netflix you don’t have to give it up. You will also have access to services like Popcorn Time, Hulu, BBC iPlayer, and Hot-Star. Since these services are geo-restricted, your VPN for streaming would be the key to unlocking all streaming content no matter where it originates from. One note of caution though, services like Netflix and Hulu are ramping up the blockage of known IP addresses of VPN providers. However, top-notch VPN providers, like the list above, are staying ahead of these blocks. Most important, a VPN for streaming will grant you a safe access to websites that provide free live streaming. You can refer to our dedicated article on the best VPN for Cricfree, how to watch IPTV Latino safely, and how to use Alluc.TV and PutLocker. Streaming content from around the world should be the right of everyone. The 5 best VPN for streaming list makes sure we have access to that right without forfeiting online privacy. These VPNs provide reassurance that a physical location doesn’t become an obstacle to your favorite streaming content. You can have the freedom to access Spotify, Netflix, Hulu Popcorn Time, and an array of other services and foreign channels. In order to enjoy the crispest and clearest images that don’t need buffer time, all while keeping your digital information concealed, it’s also necessary to consider the speed and encryption levels of your VPN provider. 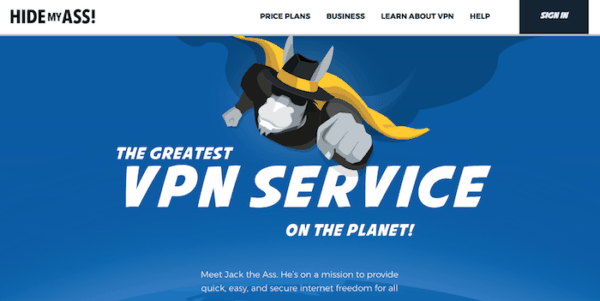 The VPNs outlined in this article will give you a clearer idea of which VPN is an ideal choice for your streaming freedom.